The Fourth of July is just in the rearview mirror, high temperatures are here to stay and it’s smack-dab in the middle of baseball season. That can mean only one thing – summer is in full swing! It’s the time to be thinking about an upcoming trip to the beach or lake, or making final preparations before attending that friend’s or relative’s wedding that you’ve been looking forward to. But what is a pet owner to do with all of that travel ahead? As you may know, there are many hotels, restaurants, parks, etc. 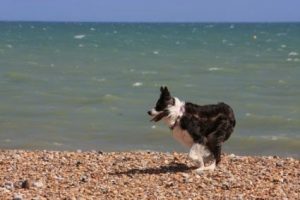 that are attuned to the needs of a family traveling with pets (and if that’s you please don’t forget about our guide for making an emergency kit. Still, though, travelers often elect to hit the road without the company of their four-legged friends. Those folks then have to decide how their pet will be cared for while they are away. Whether you favor having a friend, family member or professional pet sitter come to your home to provide care or taking your pet to a boarding facility, there are important things to consider before making a final decision. Ensure that the sitter has proper insurance in case of an accident. A pet sitter who owns an insured and bonded business is your safest bet. Lay out a specific schedule for when your sitter will provide services. 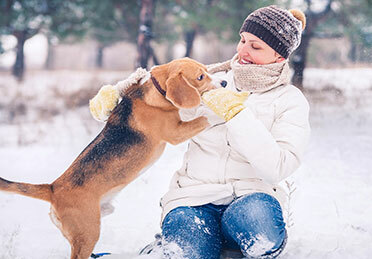 You will want to make sure that your pet’s daily routine stays as close to normal as possible while you are away. Have the sitter produce a written service contract for you both to sign. Get a list of references that you can contact. Discuss a back-up plan in case your sitter becomes ill, has car troubles, is drawn away by a family emergency or any other situation that might arise. Inquire about any job-specific training the sitter has received. 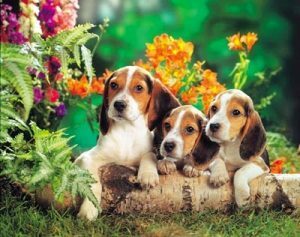 Confirm that the kennel has a policy that all pets must be up-to-date on vaccinations with documented proof. Personally check out the indoor and outdoor facilities so that you know they are clean, well maintained and kept at the proper temperature. Ask how often the facilities are cleaned. If the kennel has outdoor runs or an outdoor play area, ask about what steps are taken to make sure that no animals escape the facility. Trust your senses. If you have a bad feeling about a certain kennel then your dog or cat will likely feel the same way. Make sure that the kennel allows you to bring your pet’s favorite blanket, toy or other comfort from home that will make their stay better. Once you’ve found the perfect person to sit for your pet, or the perfect place to board them, there’s one last item that has to be covered before you hit the road; what will happen in the event of an emergency? MedVet’s own Dr. Amy Rader says that communication is key. Pet emergencies are always a stressful situation and the stress only grows if something happens to our pets while we are traveling. The cost of care in an emergency is a big part of that equation and Dr. Rader has important advice for how to ease that burden. To help guarantee that all the right people have the proper contact information while you travel simply fill out and distribute this Emergency Contact Card. With all of that information you are ready to make the best arrangements for your pet’s care while you are traveling. So get out there and enjoy all that summer has to offer!